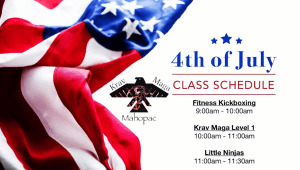 We want you to enjoy the 4th of July holiday and still be able to get some training in. Here is our special schedule for Wednesday, July 4th, 2018. Come get some work in with us!! We hope to see everyone before the parties and fireworks start. Stay safe and don't blow up anything that can't be reattached or regrown.